We put our international staff at the center of this renovation and asked for their perspective on various key points. The result allowed us to achieve a sophisticated design and outstanding functionality. 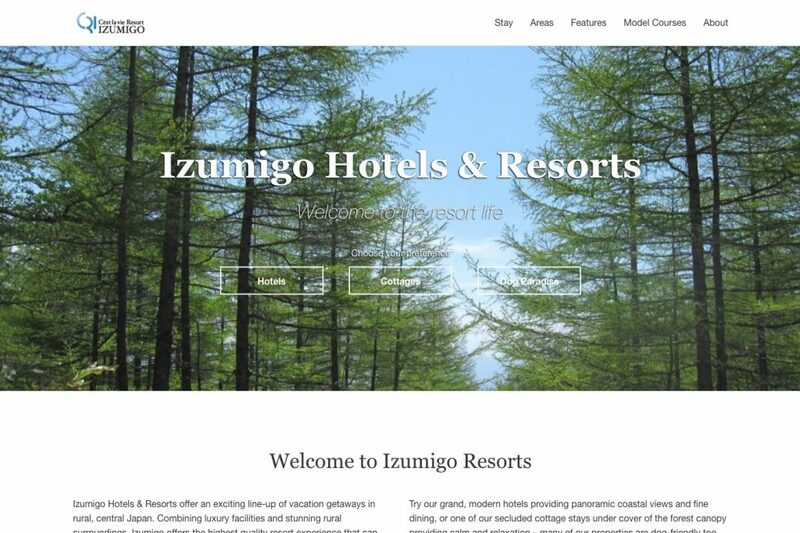 In addition, as a website that communicates our brand image overseas, we are preparing content that will allow us to better appreciate the attractiveness of our group facilities and the surrounding tourist spots. 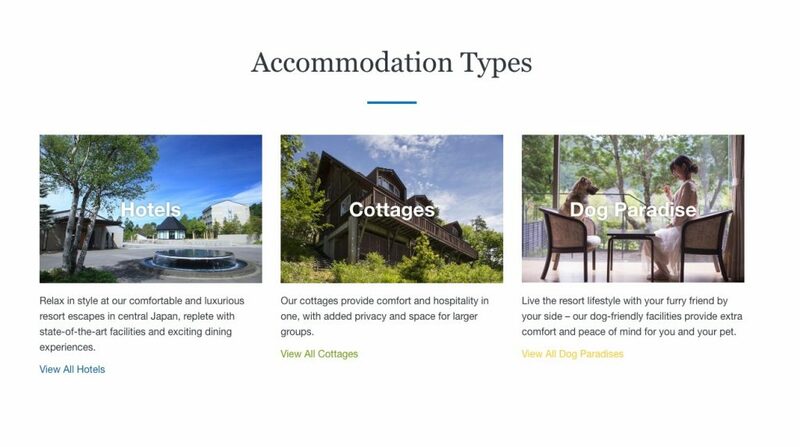 We have three facility types, “Hotel”, “Cottage”, and “Dog Paradise”, where you can stay with your dog, and an additional nine resorts (Yatsugatake, Kiyosato, Tateshina, Azumino, Takayama, Izukogen, Hamanako, Toba, Matsuzaka). Our company operates a total of 18 facilities across the country which can be viewed on our homepage under “Accommodation Types”, in the “Areas” section. Here, we introduce the features and attractions of each facility type and area, allowing customers to choose their accommodation from 18 diverse facilities depending on their needs. 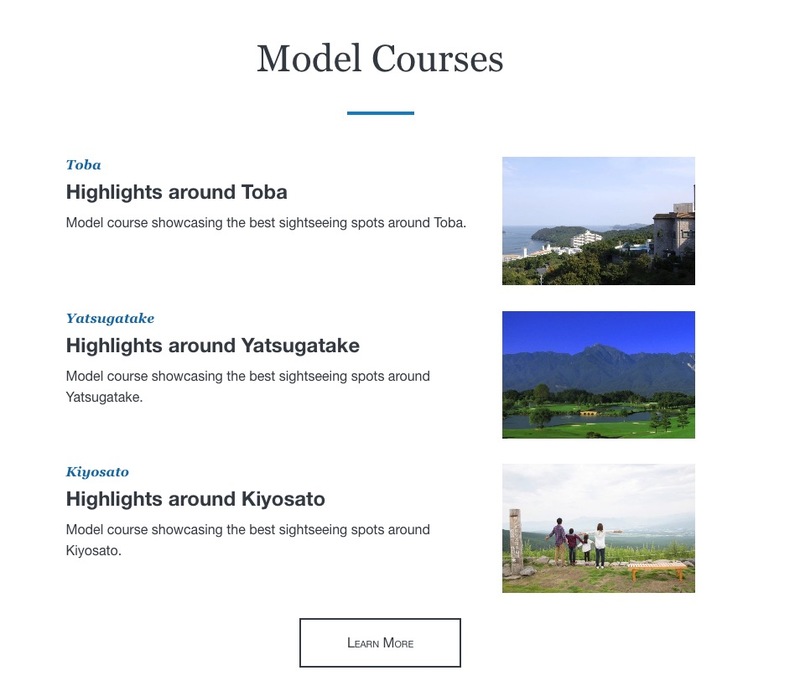 Located under “Model Courses” in the “Features” section on the website, we provide customers with content to support them before and during their trip, which is a major aspect of the website renovation. We have special features on tourist spots and events under themes such as seasons and sightseeing, as well as model courses focusing on accommodation facilities. In the future, we strive to further enhance our tourist information and reduce customer burdens, so they can enjoy traveling to Japan comfortably and worry-free. Our research is based on various travel resources and accommodation destinations for trip-planning as well as information from hotels and surrounding tourist spots. Business content: Tourism accommodation business (cottage, hotel, dog companion hotel), domestic travel business, welfare benefits outsourcing service, operation and sales of a “Resort System” resort facility contracting service, membership resort club business, real estate business.